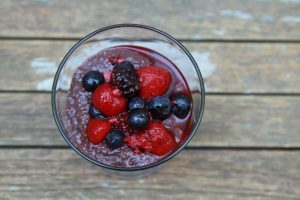 Acai berries are packed with antioxidants, amino acids, fibre, essential fatty acids, vitamins and minerals making it a near perfect energising fruit. 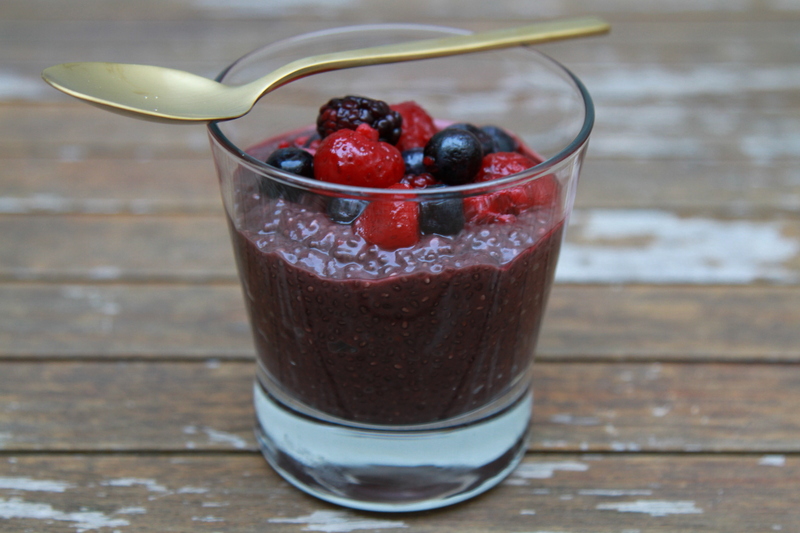 Pour the coconut water into the blender and add acai berries, banana and berries. Pour into a bowl and stir in chia seeds, whisking until well combined.